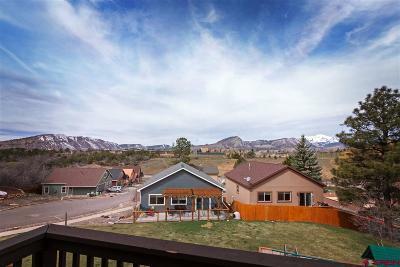 This property has it all--a fabulous location, high end finishes, views, and a yard all at an affordable price! 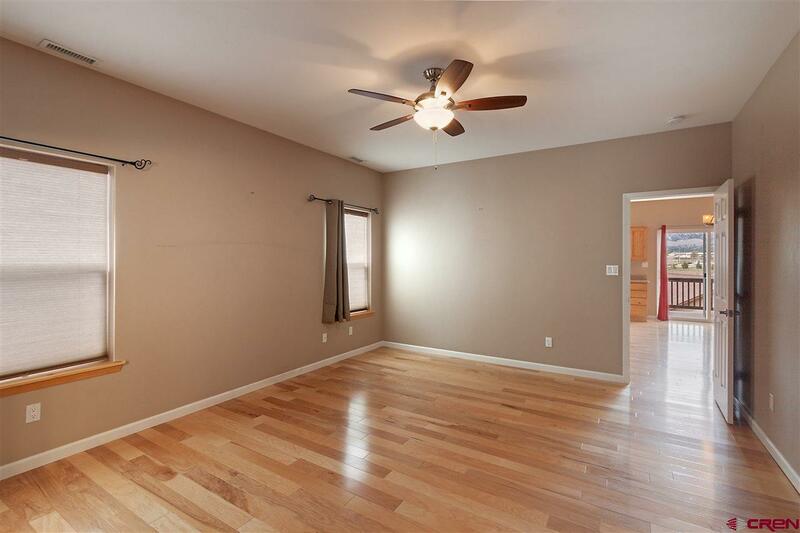 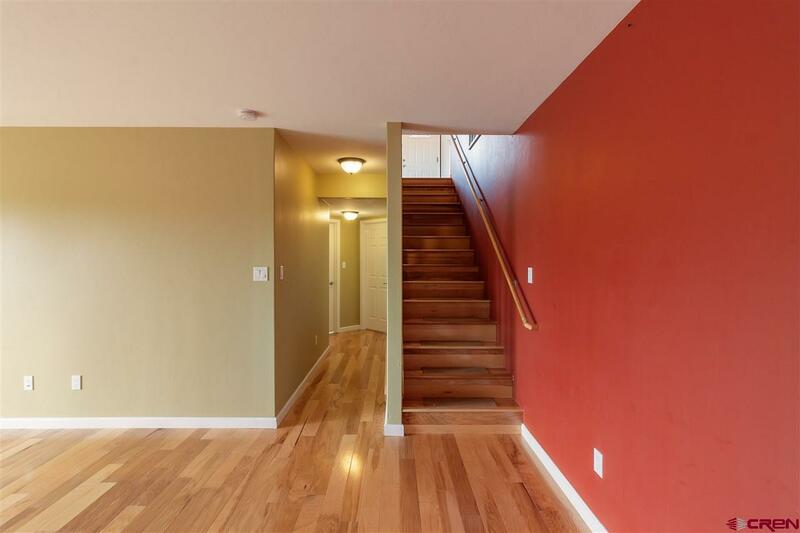 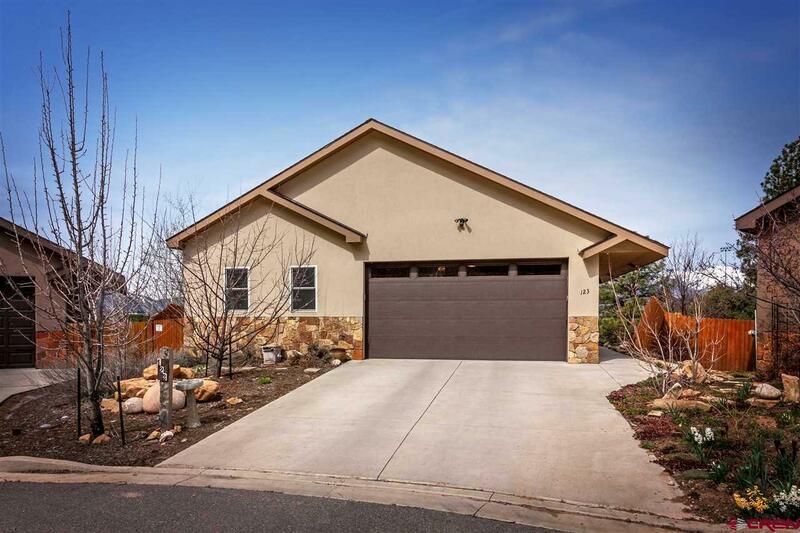 Enjoy main level living with the garage, master and great room all on the same floor. 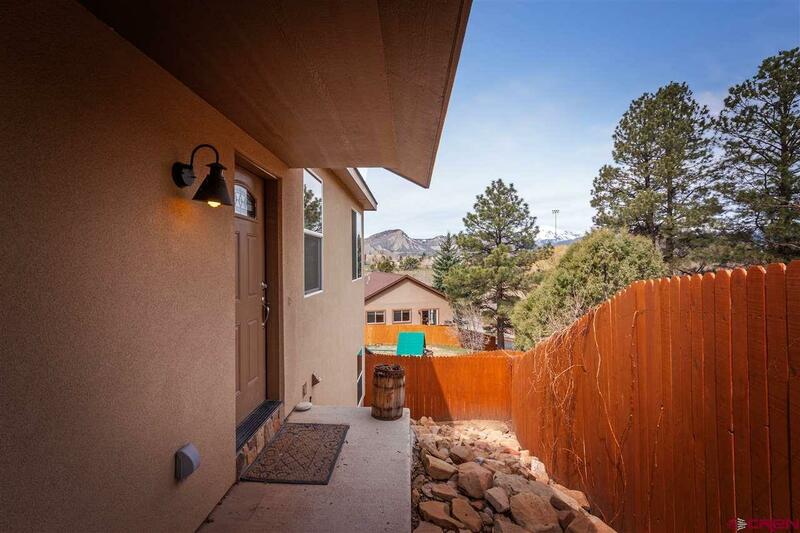 The kitchen, dining and great room are open to one another with large windows and views toward Perins Peak and the La Platas. 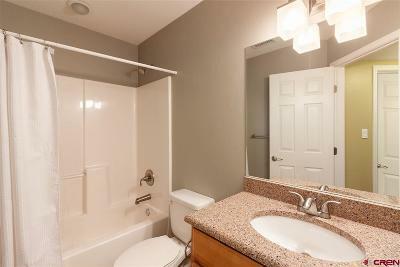 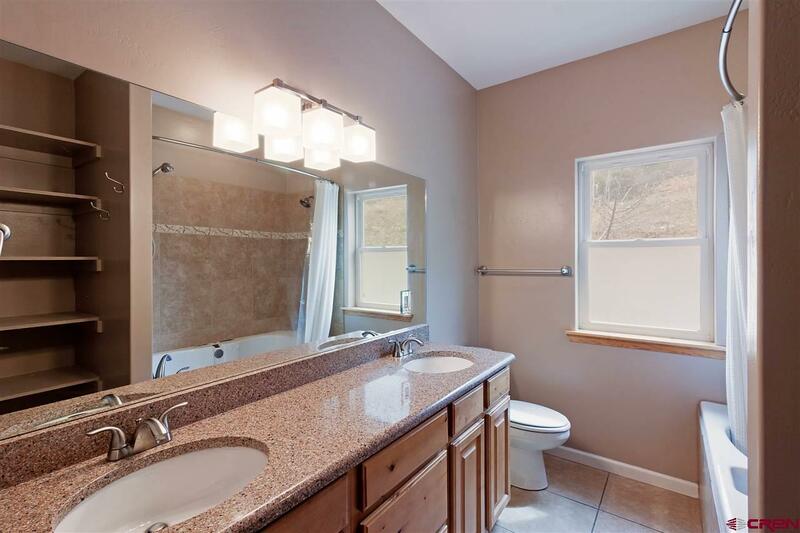 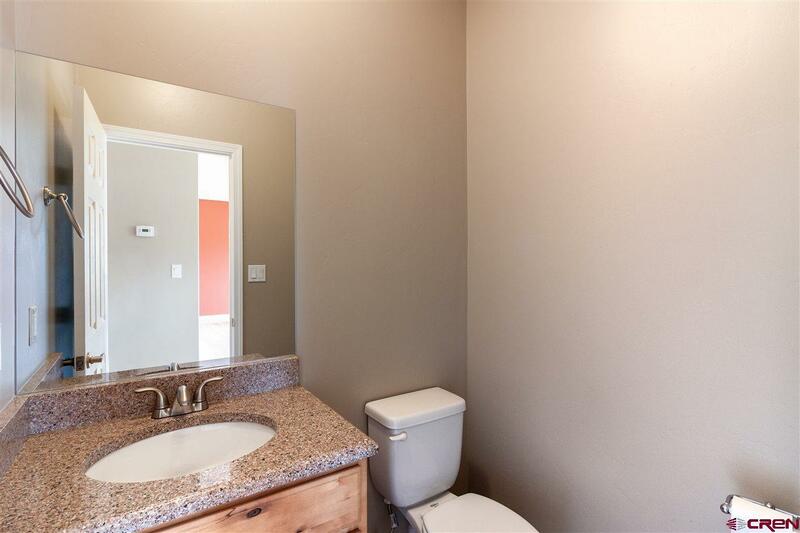 The main level master suite has a walk in closet and jetted tub/shower with double sinks and quartz counters. 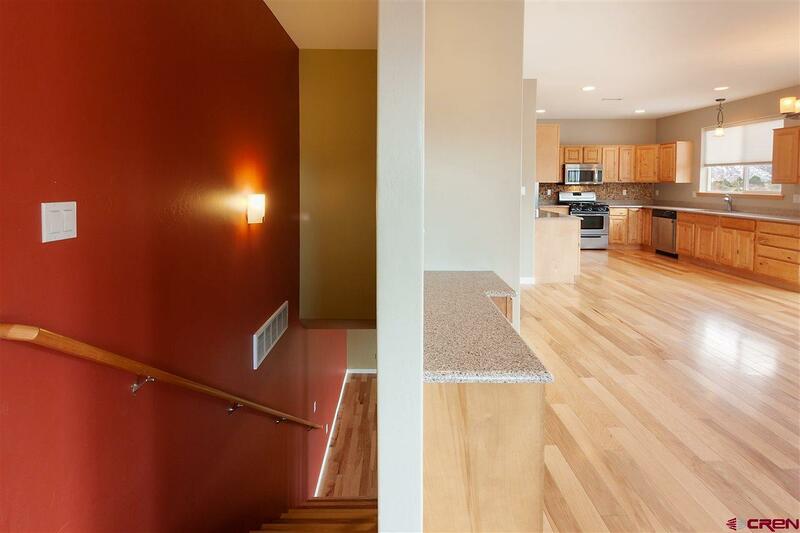 The home was built in 2012 with modern finishes such as quartz counters, stainless appliances, wood floors and tile throughout. 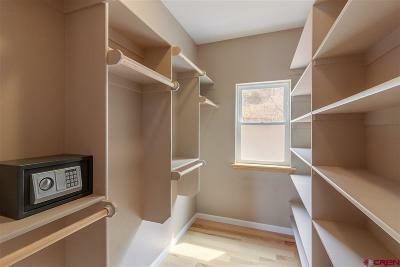 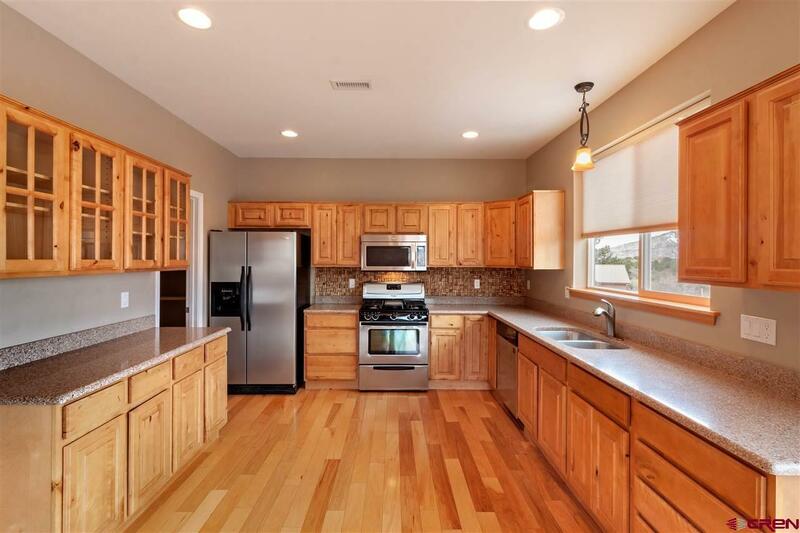 The kitchen has plentiful cabinets and counter space and a walk in pantry. 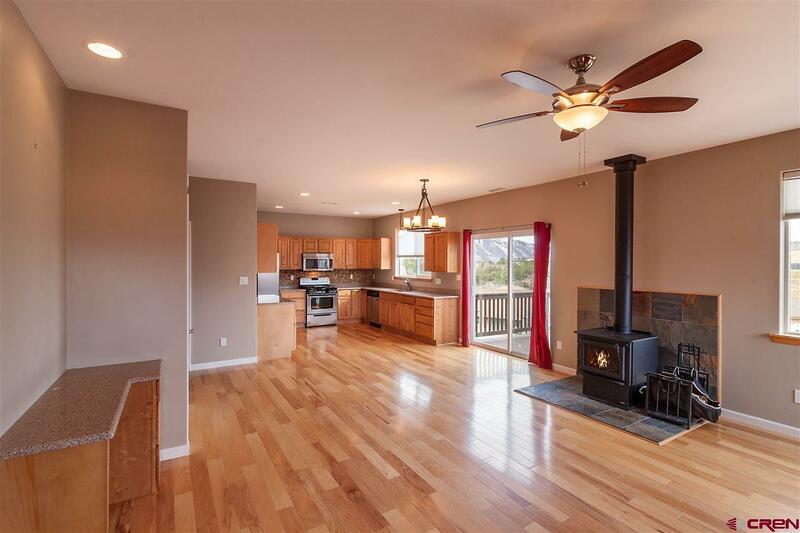 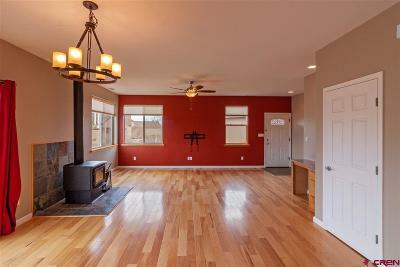 The great room has a high end wood stove with a beautiful tile surround. 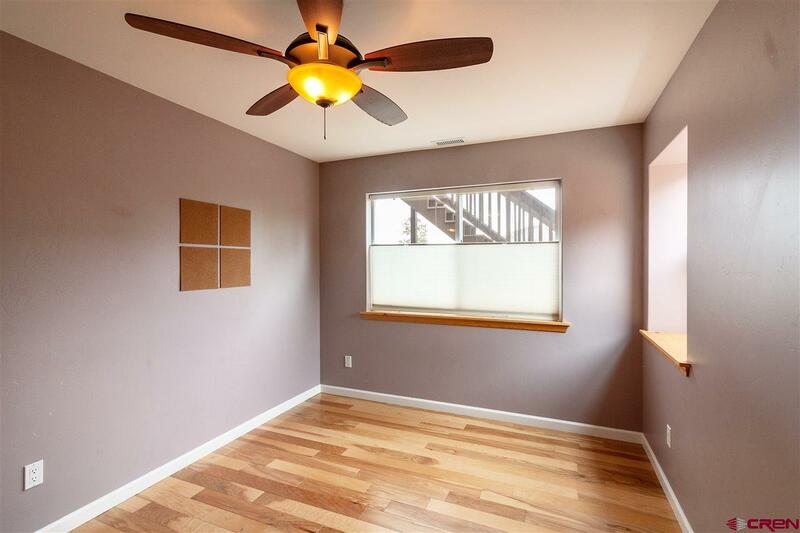 Large windows throughout the home have top down blinds to showcase the views. 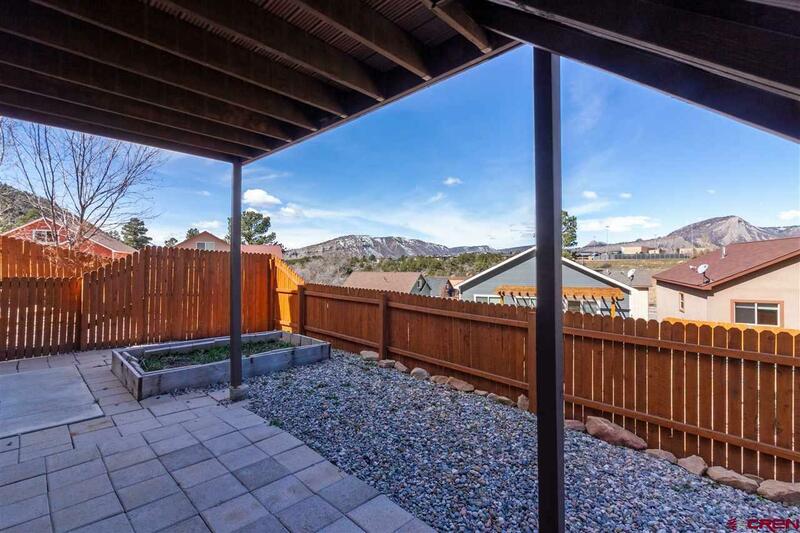 Enjoy outdoor dining on the back deck, located just off the great room. 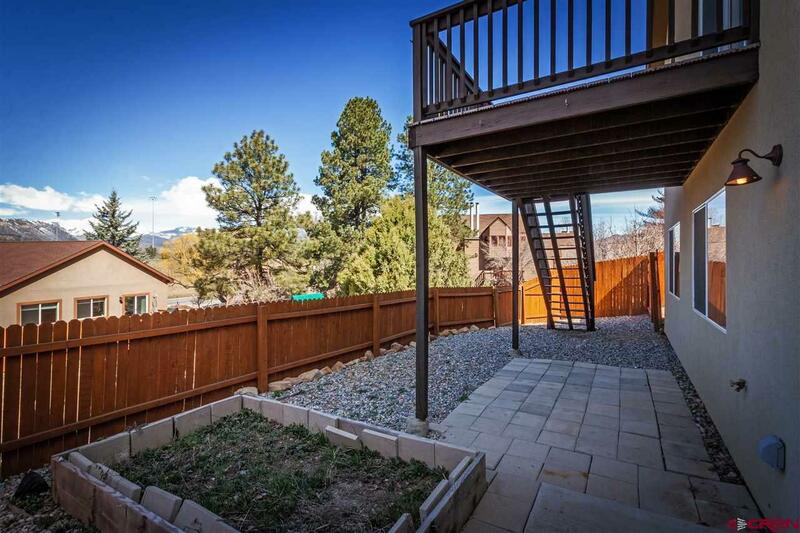 The deck has amazing views and stairs down to the fully fenced yard. 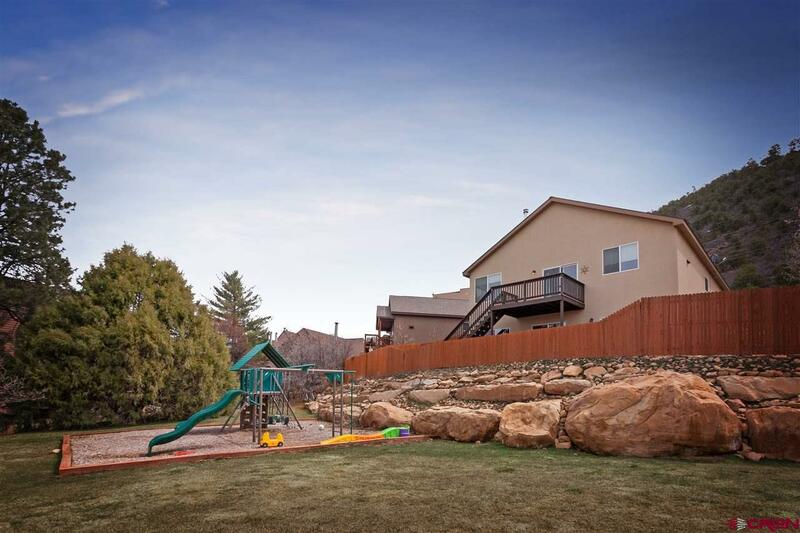 The yard has been conveniently divided into a dog run and yard area with a garden bed. 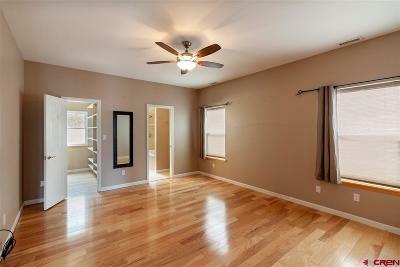 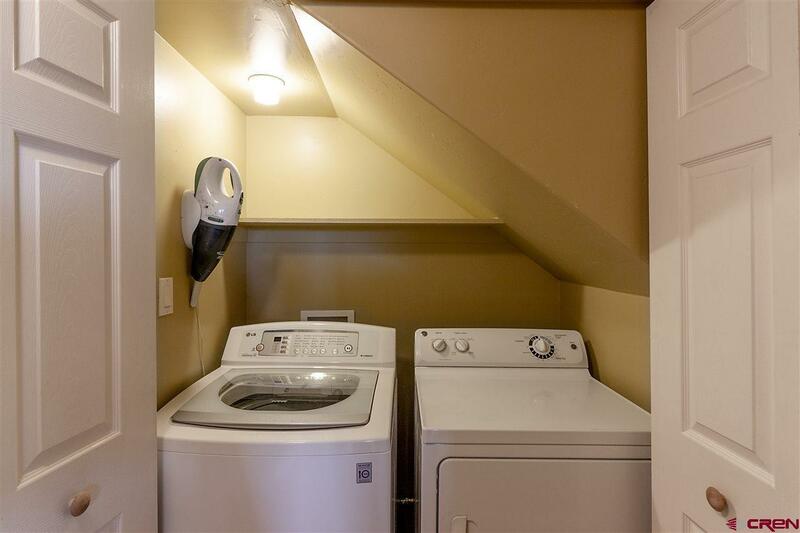 The lower level of the home has a bonus room/tv area as well as two bedrooms, a full bath and laundry area. 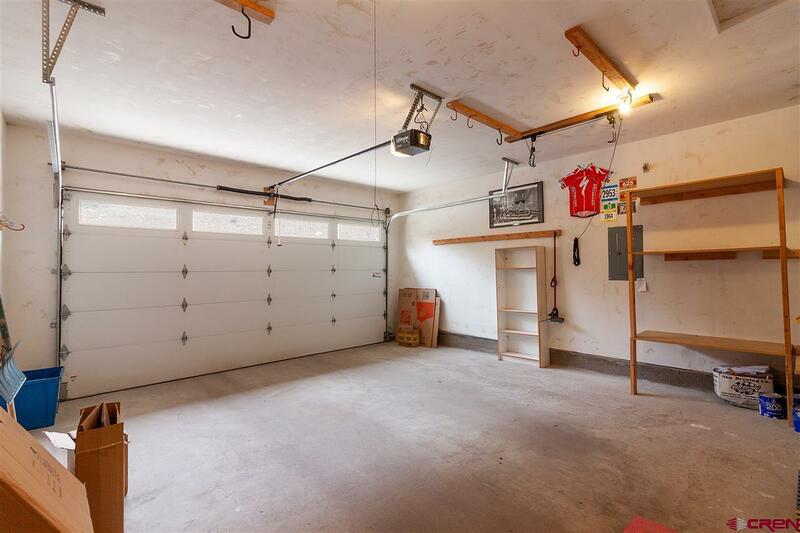 The over sized two car garage is perfect for gear and opens right into the main level of the home. 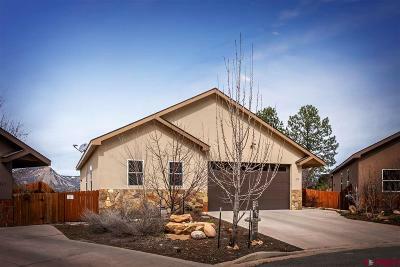 This home has been pre inspected and is ready to go! It&apos;s in great condition and located in a cute, low density neighborhood that has a common area park and is located right on the public transport line. 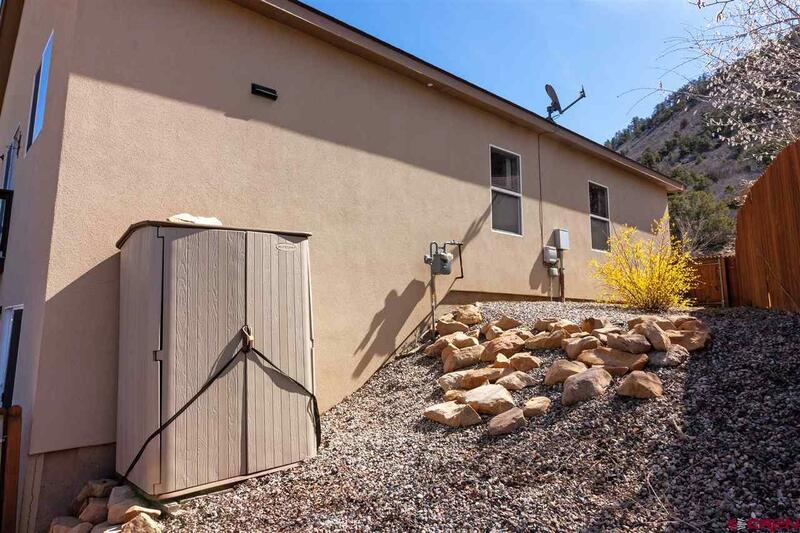 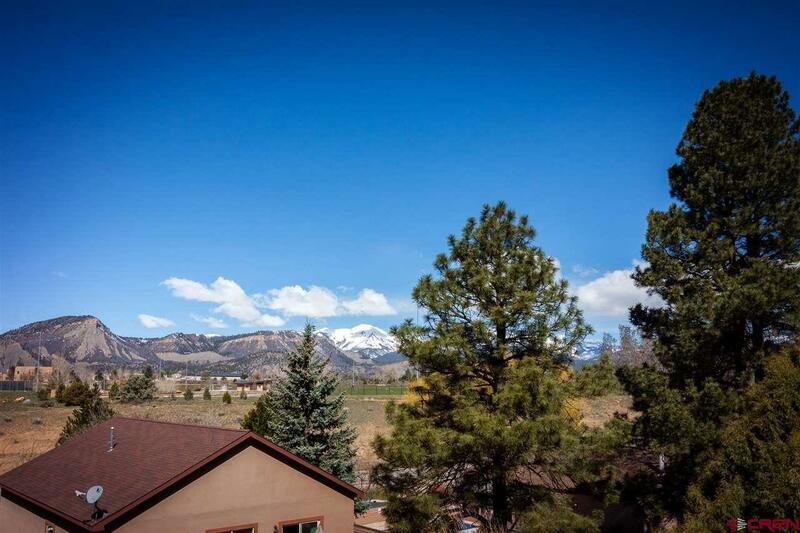 You can access trails from the back of the subdivision for the full Durango lifestyle!